Enjoy low maintenance living! Close to shopping. This condo is in good condition! - 3 bdrm, 2 full bath - garden-style condominium. Seller is offering a 1-yr home warranty. 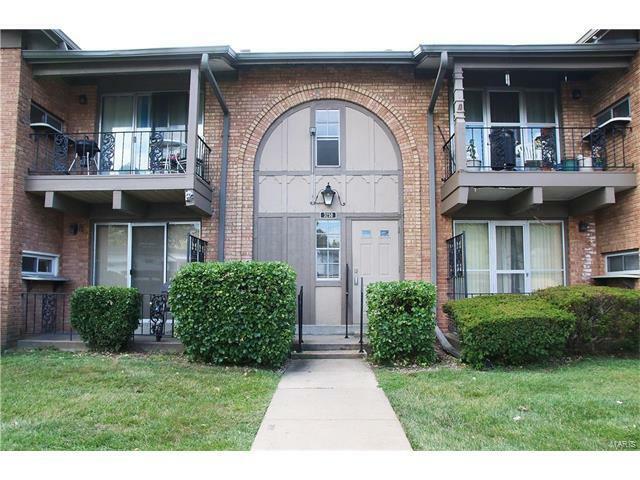 Basement area offers washer/dryer hook-ups , Washer and dryer will NOT stay with the condo purchase. Furnace and generous storage area in basement. Where can you find this much living space and no heavy repairs or replacements necessary for this price?! Refrigerator stays as well. Clubhouse and pool close by in the complex. By-laws prevent renting property out. Must be owner-occupied or an immediate member of the owner's family. 1-270 to Lindbergh - North to right on New Halls ferry. Turn left on Carefree This building is toward the rear of the complex. Park in the rear of the building.